noise pollution and bustle -where your relaxation and comfort are assured. 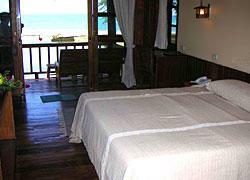 Similana commands infinite views of white sand beaches, magnificent rock formations and lush vegetation. 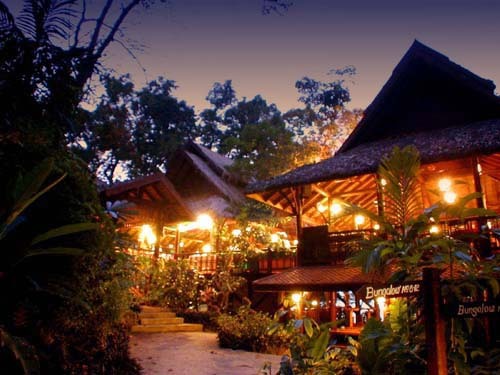 You will dine in one of Thailand's most romantic restaurants, perched on a hillside overlooking the sea. You will not find fresher seafood anywhere, and our menu offers a delightful variety of Thai and Western dishes prepared in our immaculate kitchen. 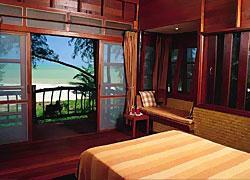 Swim in the azure water of the Andaman sea, explore tide pools full of life, relax with a book in the shade of enormous trees that grow right down to the beach. 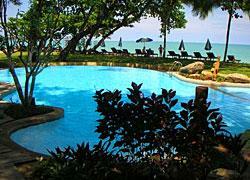 All of these are within easy reach, just an hour drive from North of Phuket International Airport. The people at Similana start with a simple idea. It is possible to build a resort and to work in harmony with the land in such a way that it enhances rather than detracts from the qualities which attracted us to the site. 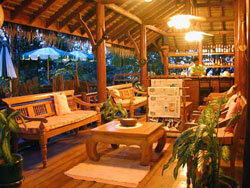 Each spacious and finely crafted Thai style bungalow opens to a private deck and glorious views, Bungalows are of two types. 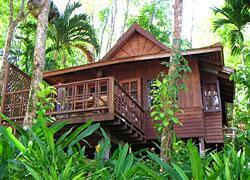 The "tree houses" located in a shady wood just behind the beach and deluxe bungalows perched on a small hill with panoramic view of the beach, bay and surrounding mountains. 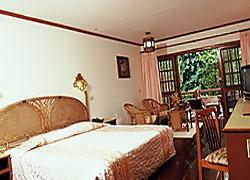 Rooms provide all the space and comfort you . 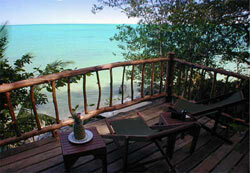 need to relax completely on your seaside holiday.